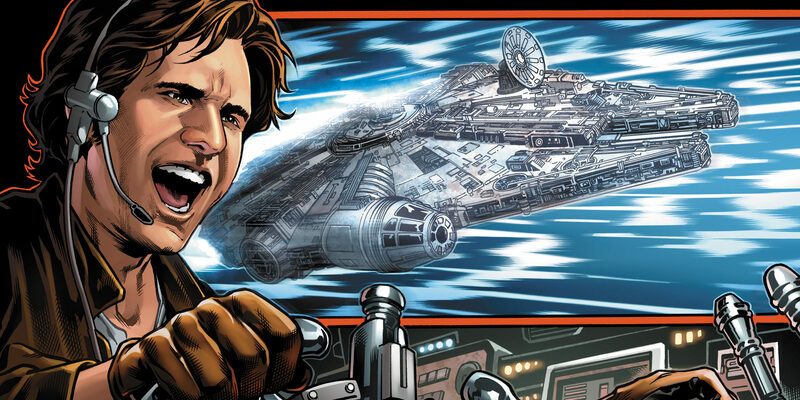 Han Solo #1 arrives today, and StarWars.com talks scoundrels and story with its acclaimed writer. Han Solo swooped into the Battle of Yavin at the right exact time to help Luke Skywalker blow up the Death Star. It wasn’t the first time he displayed his investment in the Rebellion, but it was perhaps the grandest statement he’d made about his loyalties to that point. But where did he go from there? At his heart, is Han really a soldier? 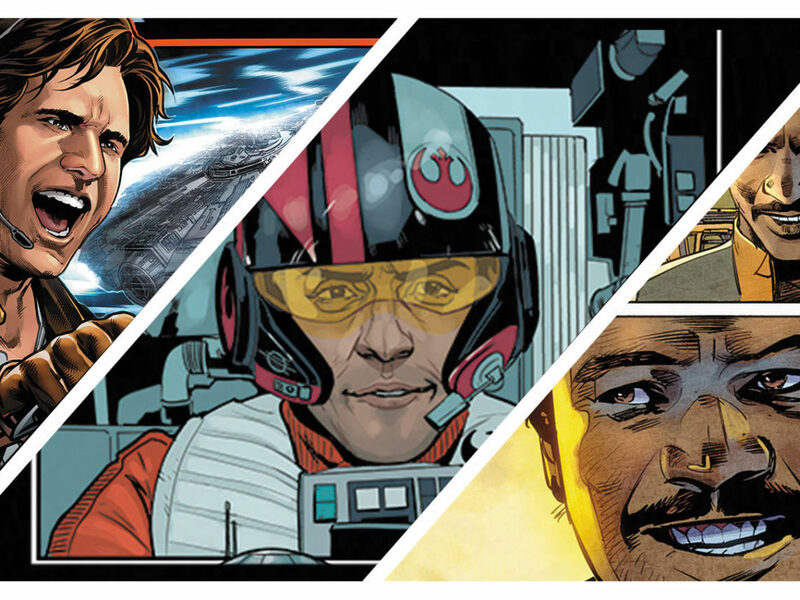 His story in the years between the medal ceremony on Yavin and Echo Base on Hoth has been unfolding in the pages of Marvel’s comics, and we’ll see even more of it in the Han Solo comic book miniseries. 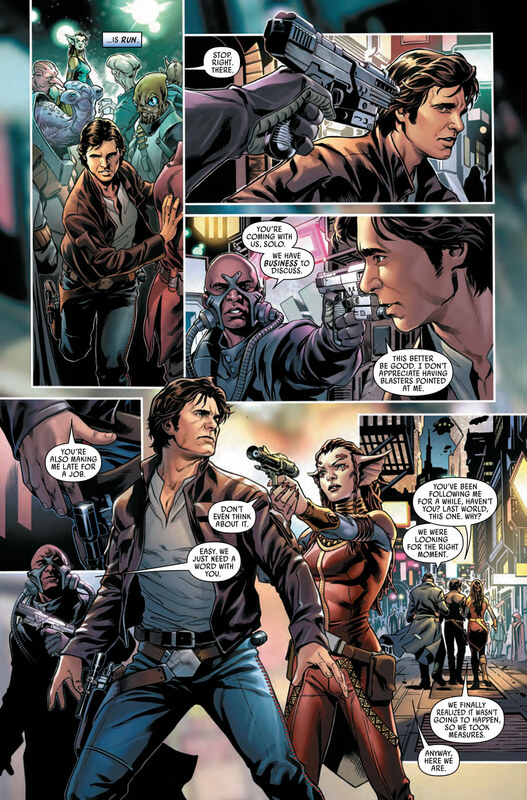 With issue #1 hitting stands and digital today, the five-part story written by Marjorie Liu and drawn by Mark Brooks will see Han enter the Millennium Falcon in a high stakes race called the Dragon Void Run. 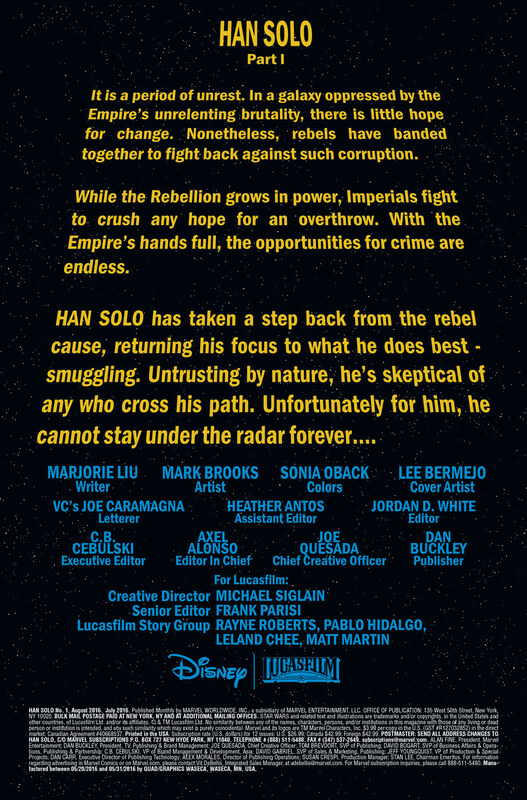 Han wants to win the race, but he can’t only be concerned with competing because it’s actually an undercover mission for the Rebellion. What’s a smuggler to do? StarWars.com talked with Liu about her Star Wars fandom, her thoughts on Han’s alignment, and about working with Brooks to make Chewbacca expressive. 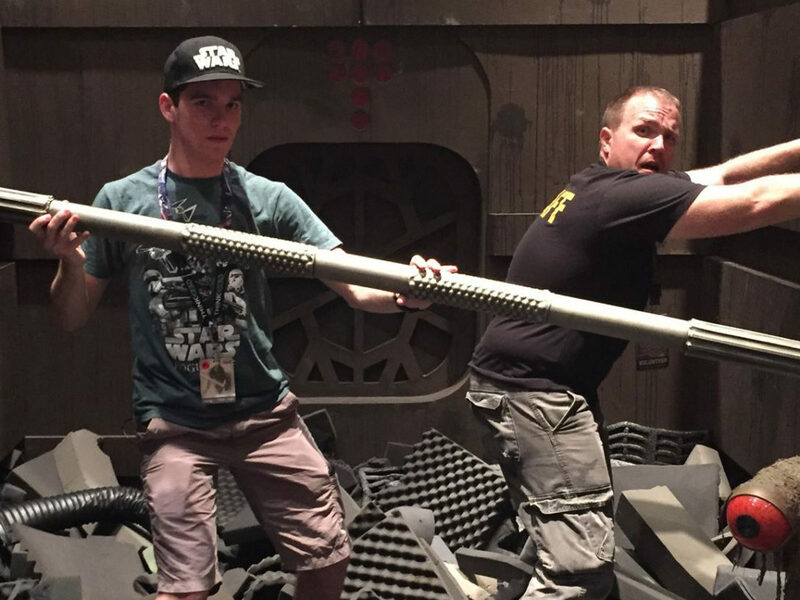 StarWars.com: I’m always curious to know about people’s first experiences with Star Wars. 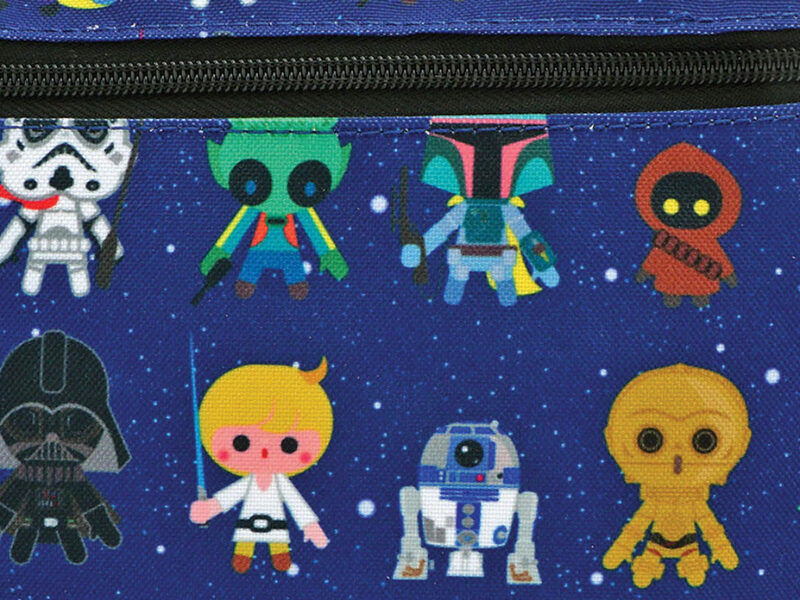 What’s your first Star Wars memory? When I think about my first experience watching Star Wars, what really, really stuck out to me, I guess were a couple of things. 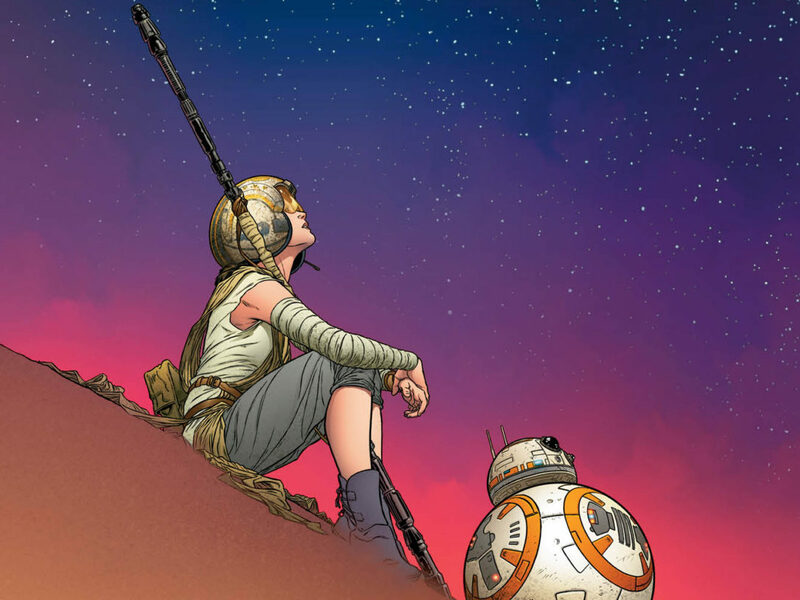 It was that lonely and solitary image of Luke with those setting suns. That is burned into my mind along with Princess Leia and Han. There’s a look on Princess Leia’s face I remember so clearly from a young age; it’s later on in the film after she’s been rescued and it’s a really stubborn, suspicious, piercing gaze that she gives Han and Luke. That was another moment that was burned into my mind. That fierce defiance, even though she’d just been imprisoned by Darth Vader, and she comes busting out of that cell and she’s the one in charge. 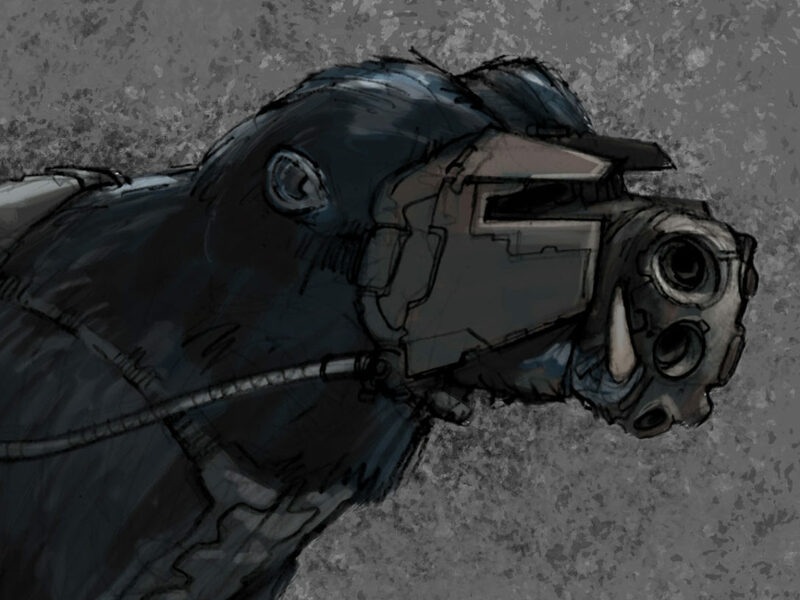 StarWars.com: And I believe I read you played a Star Wars roleplaying game [RPG] in high school and you played a female Wookiee bounty hunter. Please tell me more about this. Marjorie Liu: [Laughs] Yes, I did. But there’s not much to tell because I played the RPG [for just] one afternoon, but I remember it so clearly. I actually played Magic in high school. I had my green and blue deck, and I was really into it. I was obsessed, but I didn’t have as much patience for the RPG games. There was something immediately fast about Magic that I didn’t get from RPGs. I think that required more patience, but I did try it for an afternoon because they were playing Star Wars and I couldn’t say no to that. I remember working on my character and them asking, “Do you want to be a human?” And I was like, “No, why am I going to play RPG if I’m going to be human? Duh, I want to be a Wookiee. I want to be a female Wookiee.” They said, “Okay, okay. What’s your job?” And I was, “You guys! You guys are so stupid; I want to be a bounty hunter.” It was a total no-brainer. But I only actually played that game for a day. I think that was the extent of my attention span and after that, I just went back to Magic. StarWars.com: And now you get to write a Wookiee. 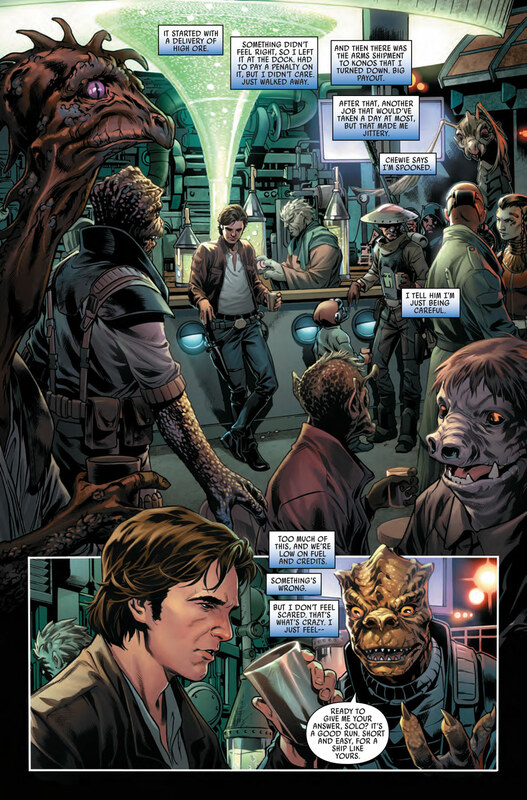 What was your reaction to getting to write a Han and Chewie story? Marjorie Liu: I was so excited. It was really unexpected, too. That was one of the last things I would’ve imagined them approaching me with. The thing is, I didn’t know what to write. They’re like, “Write Han Solo,” and I was like, “Okay, what do you do with Han Solo?” Because he’s an amazing character who I feel is — if Scheherazade was telling a story, the Star Wars stories of Han Solo, she could easily tell one thousand and one adventures about Han Solo. When I watch the movies, I felt that he lived, he really lived. StarWars.com: I think he’s definitely had experiences the others can’t touch. Marjorie Liu: Yeah. Luke has spent his whole life on the planet and I think Leia had a really interesting life. But I felt Han was someone who, from a young age, had been surviving. He’s been out in the world, out in the universe doing stuff. So all of this, the unspoken, hidden history of Han Solo prior to Star Wars really fascinated me and that wasn’t something I could touch. 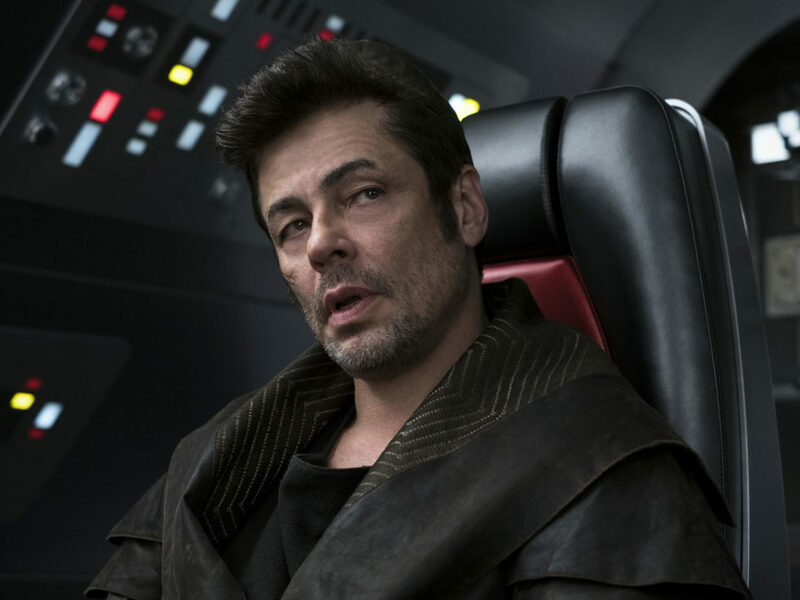 But I thought, “Who is this guy after Star Wars?” He’s lived this life in which he was responsible really only for himself and Chewie, he’s been the smuggler. It’s clear he’s lived a hard, scrappy life. This is a guy who works for a living. He doesn’t pay attention to politics. He minds his own business. He’s focused on the job at hand. I thought, well, he didn’t ask for this. He didn’t ask to be drawn into the Rebellion; he thought he was just taking a job and paying off some debts and then suddenly he finds himself in the middle of an intergalactic war. By the end of the film, when you see that big fat smile on his face, when he got that medal, you realize he enjoyed this. He could have just kept on flying, but he came back and there’s a part of him that was changed by the events whether he liked it or not. 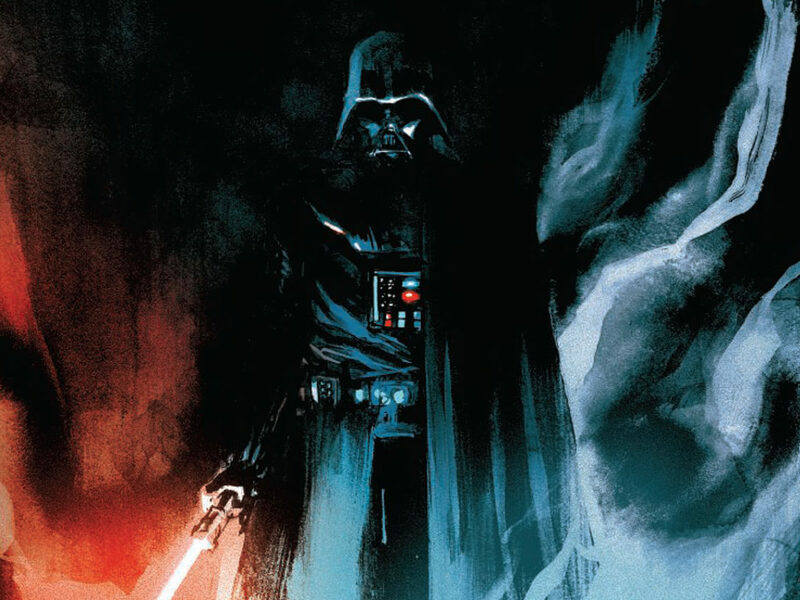 For me, the story of what happens between Star Wars and Empire Strikes Back is one of internal conflict where he discovered a part of himself that he didn’t know was there. He doesn’t really want to accept that, he’s not sure if he even really likes it. He did this brave thing, but now he kind of just feels like he should get back to the way things were. 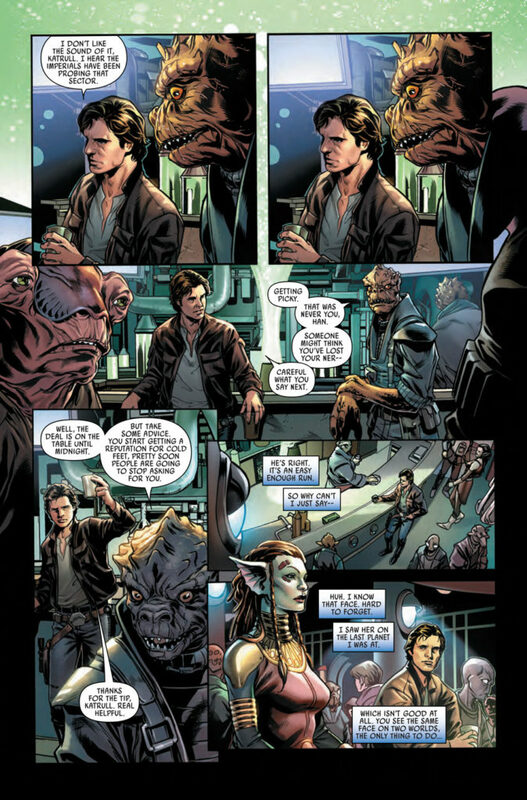 Han gets that itch, and so at the beginning of issue #1, he’s trying to take on jobs and each one he turns down because it doesn’t feel right. People begin to question his ability to actually smuggle anymore and his resolve. It seems like he got cold feet, but what it really is, is that he’s not really sure if it’s the life he wants anymore but he can’t quite admit it to himself. StarWars.com: A thrilling race that also ties into working with the Rebellion seems like a nice compromise for him. What’s Han’s approach towards it? 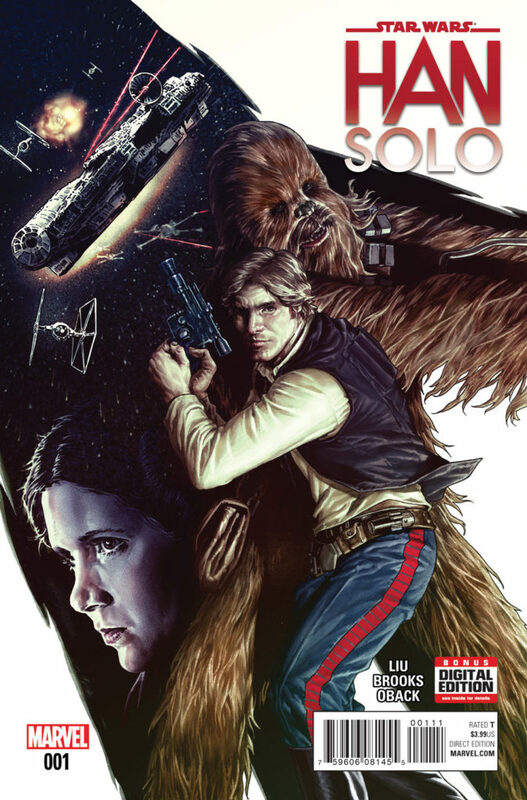 StarWars.com: You really can’t write Han without writing Chewbacca, but since Chewie doesn’t speak English, how did you and Mark make his communications clear? 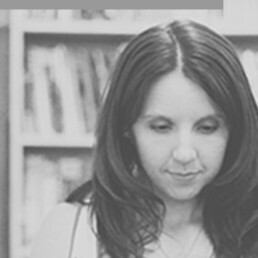 Marjorie Liu: When it came to Chewie, I wrote very sparing instructions. Just things like, “Chewie looks irritated.” Mark is such a talented dude. Mark’s art on this book has been absolutely mind-blowing. He has brought Star Wars to life, he’s brought Han and Chewie to life, and his attention to detail is really, really something else. He just basically took the story and tore through it and did something really beautiful with these pages. Each panel is just stunning. With Chewie, it’s true Chewie doesn’t speak our language but we always know what he’s feeling and we always know what he’s thinking. Chewie is incredibly expressive. In the films, Peter Mayhew may have been covered with a bunch of fur, but his body language, posture, the way he acted really conveyed the character of Chewbacca and brought Chewie to life. Mark is doing the same thing on the page. We may not speak Wookiee, but we know exactly what’s happening. Part of that also involves Han’s reactions, as well, because we may not understand literally what Chewie is saying, but we understand his body language and how Han reacts to what Chewie is saying. StarWars.com: With the race and mission, it sounds like Han will have a few things to figure out in the miniseries. How do you think fans will see him differently when the miniseries is over? 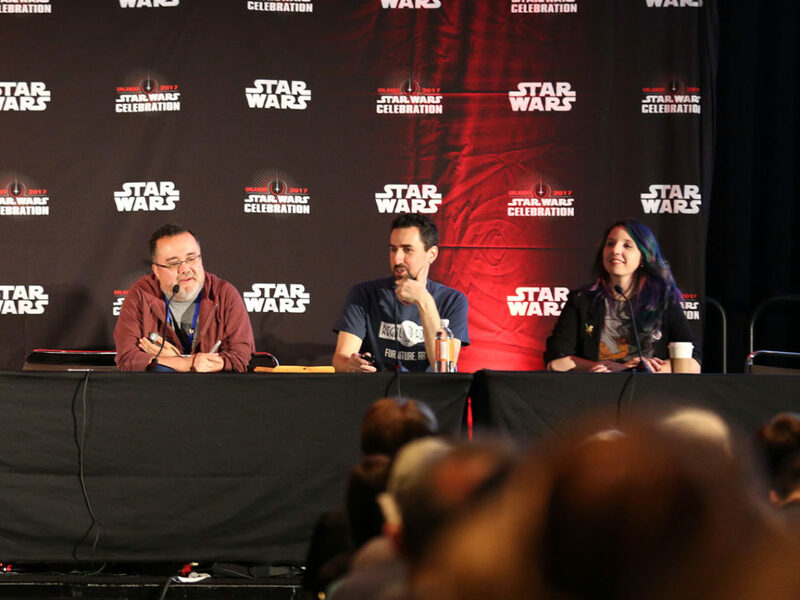 Marjorie Liu: At the beginning of the story, we see him conflicted about where he wants to go and whether or not he actually wants to be with the Rebel Alliance. By the end of this he will have gone through a journey that is making him think about his life in a different way, in a bigger way than he has before this — perhaps he is the person who is capable of doing important things and not through some egotistical motivation, but just because he’s capable of it. That’s part of his journey. I wanted this to be a bridge between those two films [A New Hope and The Empire Strikes Back]. I’ll look into his character in before and after.